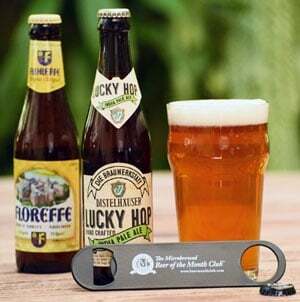 With five distinct monthly beer clubs to choose from, The Microbrewed Beer of the Month Club ships more India Pale Ales and other hop-centric beers than any other online beer club. In the past, we allowed our members to customize which beers they receive each month, which allowed them to essentially create their own IPA Beer of the Month Club. However, that was a lot of work for everyone involved, so we decided to launch our new Hop-Heads Beer Club! Each year, we’ll feature well over 100 different beers among the five clubs, which is twice as many as the vast majority of craft beer clubs in the marketplace today. Last year, 16 of those brewing styles were either IPAs, double IPAs, black IPAs, or session IPAs. Another 11 were hop-centric beers that most IPA lovers would enjoy as well, like aggressively hopped pale ales that could easily be categorized as IPAs, or Monkish Brewing Company’s Rara Avis, a dry-hopped, blended Brett Saison that was created exclusively for The Rare Beer Club™. We explored launching an IPA-only Beer of the Month Club, but quickly concluded that with so many outstanding hoppy beer styles that are not technically classified as IPAs, we’d really be limiting ourselves and shortchanging hops lovers! Members of The Hop-Heads Beer Club will get twelve, 12-oz. 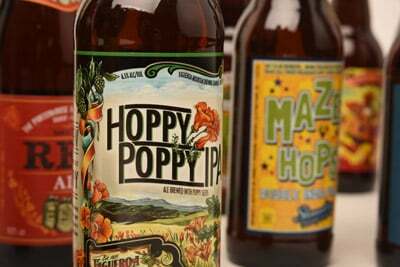 beers, which includes four bottles or cans of three different hoppy beers from both U.S. and Imported breweries. 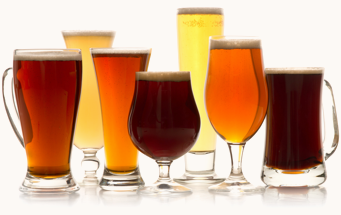 You’ll get a variety of hoppy beer styles, including IPAs, IPLs (India Pale Lagers), Double or Imperial IPAs and IPLs, Session IPAs and IPLs, hoppy Red and Pale Ales, and other well-hopped styles from two or more breweries. Check out our list of some of our most-memorable featured IPAs below. 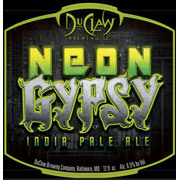 DuClaw Brewing Company’s Neon Gypsy — With no less than 7 modern, New World hop varietals, including Columbus, Simcoe, Chinook, Amarillo, Citra, Nelson Sauvin, and Sorachi Ace, DuClaws Neon Gypsy delivers the goods! Big citric notes of orange, tangerine, grapefruit, and lemon are complimented with pine and softer tropical fruits, all on top of a solid caramel and toasted malt backbone. Thank you, sir. May I have another!? 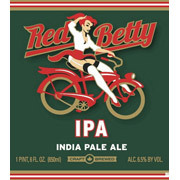 Central City Brewing Company’s Red Betty (formerly Red Racer) — From the first approach to its big resinous, pine-infused, citrusy nose, we really liked this Canadian-made IPA. We also found hints of tropical fruit and herbal spiciness, all of which was complimented perfectly with a solid caramel malt base. You can’t deny Red Betty to be anything by a bombastically hopped brew, with Magnum bittering hops providing plenty of alpha acid punch. 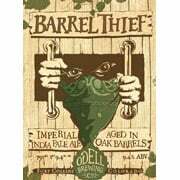 Odell Brewing Company’s Barrel Thief — Bottle-conditioned, aggressively hopped, and aged in fresh American oak, Barrel Thief delivered juicy tropical hops melding with similarly generous oak-barrel contributions. This 9.4% ABV double IPA boasted ripe, fresh citrus notes on the palate and firm bitterness. Notable zesty bits of grapefruit rind and tropical fruit we present, as were subtle fruity notes melon, pear, and peach. The barrel contributions of vanilla, coconut, and American oak were prominent, but certainly didn’t take center stage to the beer’s hop profile. 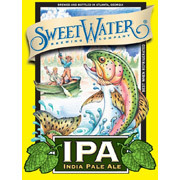 Sweetwater Brewing Company India Pale Ale — Made with Columbus, Chinook, Cascade, Simcoe, and US Golding hops, it’s no wonder that we fell in love immediately after just rating its nose. Its hop character profile is complex to be sure, offering a juicy, lush citric cocktail of grapefruit and orange notes, accentuated with a hint of pine resin and a floral undertones. Plenty of caramel malt and residual sweetness offer a solid backbone for this extensively dry-hopped brew. Lucky Bucket Brewing Company Original American IPA — It’s no surprise that we really liked the big, complex American hop nose on this beer, considering that it was crafted with ample amounts of Magnum, Cascade, Centennial, and Amarillo hops. We found plenty of resinous, grapefruit notes and citric zest characteristics, as well as floral contributions. There’s plenty of caramel malt to balance this IPA’s firm bitterness. 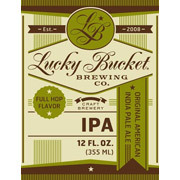 If you like American hops, you’re going to like Lucky Bucket’s IPA. 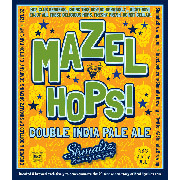 Shmaltz Brewing Company - Mazel Hops! — Weighing in at 8.9% ABV, and brewed with heaps of Amarillo, Simcoe, Citra, Crystal, Topaz hops, Mazel Hops is a big boy double IPA that delivers the goods. On the palate, this one’s as complex as it gets, as each hop variety integrates seamlessly with an equally complex malt bill, offering grapefruit, tropical fruity, and piney, herbal tones amidst a floral background. We like just about anything that comes out of Shmaltz, but were particularly impressed with this beer. If you’ve always wished there was a way to build your very own IPA beer club, or know a special hophead who would love a customized craft beer club that caters to their particular tastes, then consider Joining our New Hop-Heads Beer Club today!